We’ve all been there. A bathroom shelf or vanity counter top full of expensive products recommended by this Youtuber or that blogger; products that leave a serious dent in our pocket but somehow don’t deliver on the promises made by those who recommend them. And it’s not necessarily that these are bad products. Sometimes, the reality is that what works for Jane may not work for Sara or Michelle, or you for that matter. So what to do then? A girl’s got hair problems that won’t fix themselves. 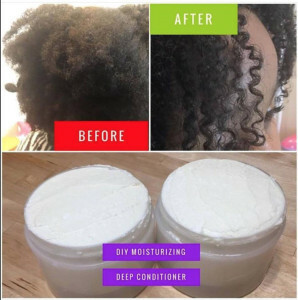 Everybody needs a little help now and then, and with the DIY Natural Hair Recipe Book, my commitment to you is to do just that – provide you with help that will result in healthier hair while saving you money. Some of these recipes may require products that you do not have in your kitchen but I guarantee you that they are easily accessible online or at your local health food store. 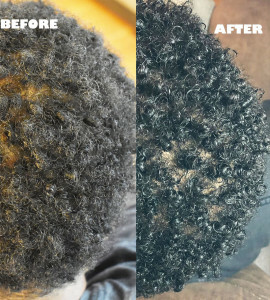 I will take you through the steps, making recommendations along the way and providing you with useful suggestions on your hair journey. *NOTE* This is not a physical book. This is an electronic book (eBook) that will be instantly emailed to you in downloadable PDF format after purchase. All ebook purchases are final.